My folding bike is named Franklin. Franklin is a Gotham style bike from Citizen Bikes. You can buy brand name protective covers for these bikes, but I figured I could do better by creating my own. <===== Cover in action. Pretty in cognito, no? 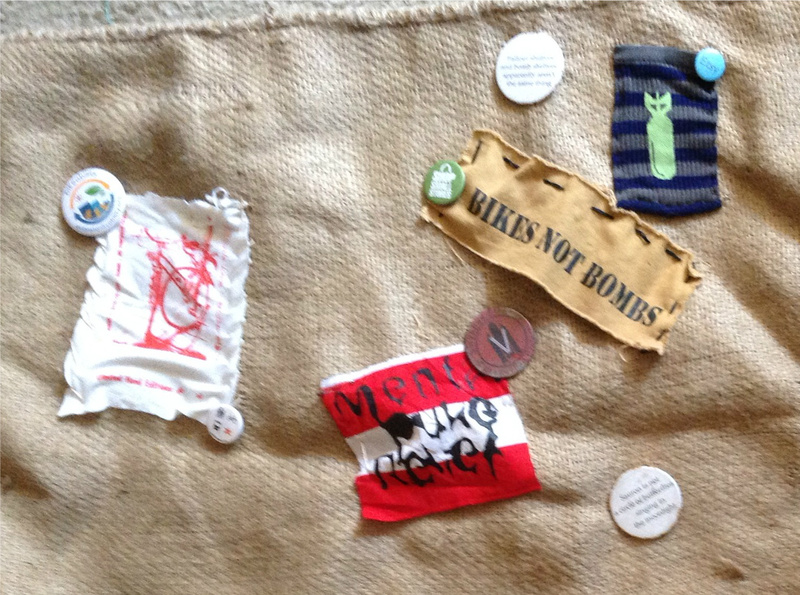 The Bomb sock pocket and the “Bikes not bombs” patch were both from The Hub Co-Op in Minneapolis. One pin is from Grid Chicago’s Streetsblog launch party, while three are ones I made at Artica Studios. However, the patch that I am currently most proud of is the limited edition red one white cycling patch made by Chris Drew of the Art Patch Project. I rather fortuitously acquired it up when Mess Hall was still open. Moreover, I recently had the good fortune of re-encountering the Art Patch Project at Sol Cafe’s Chicago Ideas Week event, where Maria and Natalia were helping people print tee shirts with the city skyline. Is it just me, or do coffee and cycling go hand in hand?? A few weeks back my father-in-law handed me a bunch of telephone wire, knowing that I would think of something to do with it. 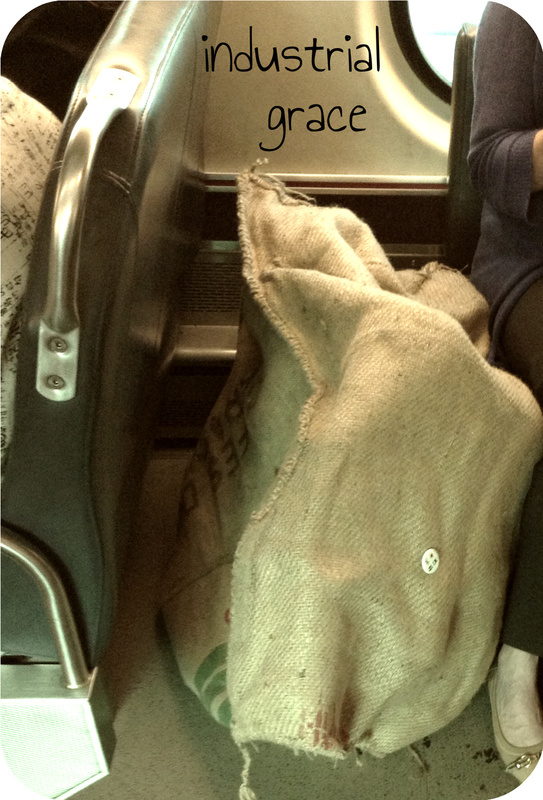 As I fiddled with it on the train ride back to our place, it began to look like doll hair. 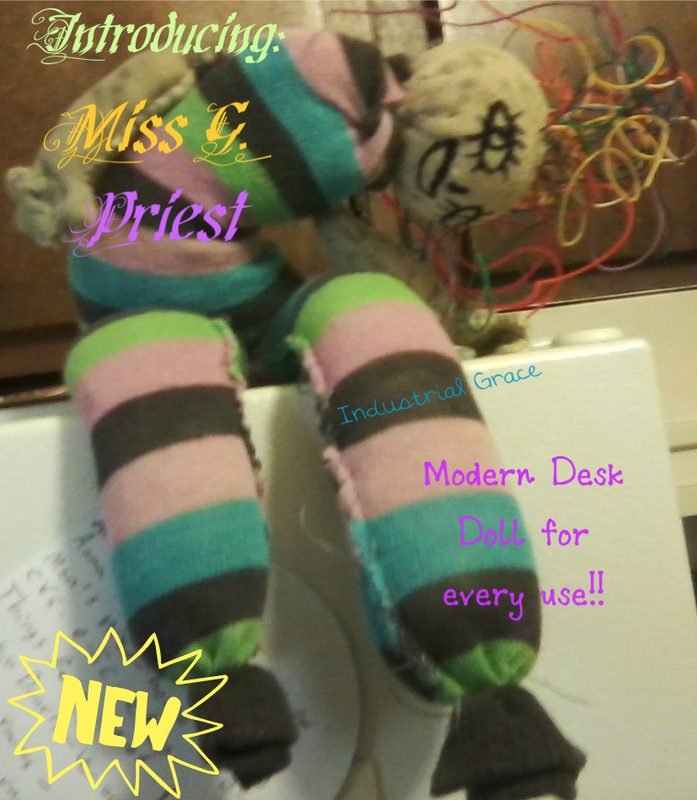 In a flash, I saw the grinning face of a doll with crazy multicolored wired hair. Back at home I paired the wire with a worn out striped sock for the body, and I nicked some pale fabric from an old, worn out hoodie for the face and arms. This pillow has been crafted from fabric salvaged from two different hoodies. 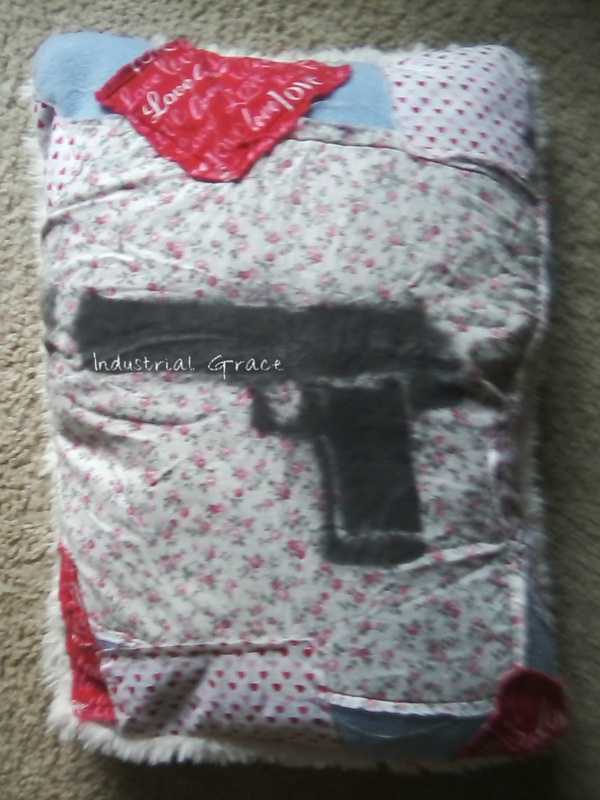 The front of the pillow is from what was originally a blue hoodie. As the hoodie’s life wore down I modified it and patched it using fabric my grandmother had given me – the floral and love fabric seen here. The stencil of the gun was added for a bit of contrast. When the whole hoodie passed on I saved this patchwork piece in hopes of using it one day – maybe as part of a blanket or something. The back of the pillow is made from the lining of an orange hoodie I found (and disassembled) back in college. The two pieces came together to make the pillow you see here.